DRM-free classic gaming digital download store Good Old Games adds yet another star to their stellar lineup with the addition of the beloved Oddworld Inhabitants series. 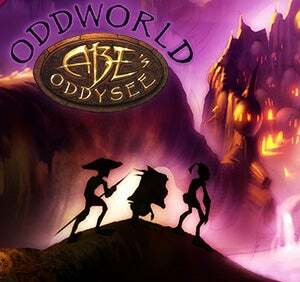 The first fruit of the partnership between GoG.com and Oddworld Inhabitants is the game that kicked off the strange new world, Oddworld: Abe's Oddysee, which follows the plight of lovable Mudokon Abe as he tries to rescue his friends from the slaughterhouse that is RuptureFarms. Abe's Oddysee is now available for $9.99 from the website, and comes with a bonus MP3 soundtrack and map to sweeten the deal. Yum. Warsaw, Poland – December 16, 2008. Today GOG.com (http://www.gog.com), the home of digitally distributed, DRM-free PC classics, and Oddworld Inhabitants announced that the world’s most famous Mudokon, Abe, will soon be sneaking his way into the GOG.com's games catalogue. In order to meet rising demand for games with epic storytelling, top-notch production values and emotionally engaging characters, the ever-so-awesome Oddworld: Abe's Oddysee and Oddworld: Abe's Exoddus will be made available at GOG.com… as always, 100% DRM-free, compatible with modern operating systems, stuffed with bonus materials and sold for just a few Spooce… errr… dollars. The Oddworld games will begin to appear in the GOG.com games catalogue with the release of Oddworld: Abe's Oddysee (http://www.gog.com/en/gamecard/oddworld_abes_oddysee) on December 16... oh, that’s today, isn’t it? Uhh… well… Okay, we’re ready? Good news! Check out GOG.com as soon as you can. Stay tuned for the announcements of additional publishers and new site features in the coming weeks.